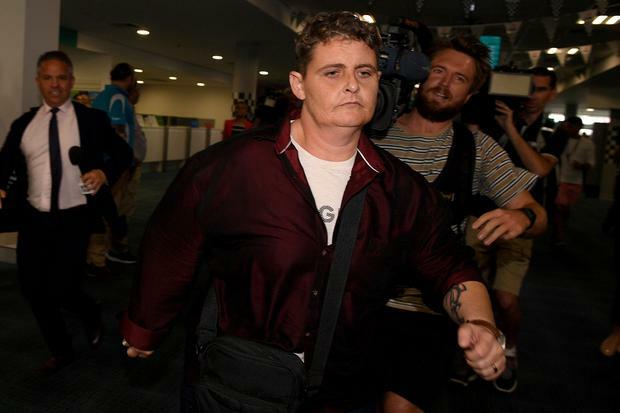 Bali Nine drug smuggler Renae Lawrence runs through the terminal as she arrives at Newcastle airport in Newcastle, Australia, November 22, 2018. AAP Image/Dan Himbrechts/via REUTERS. Australian heroin courier Renae Lawrence was released from an Indonesian prison on Wednesday, the first of the so-called Bali Nine drug smuggling ring to gain freedom after the execution of the two ring leaders strained ties between the countries. A police convoy escorted the vehicle as it headed to Denpasar airport, where Lawrence was to be held in a temporary detention center while waiting for an overnight flight to Sydney. Chan and Sukumaran, who apologized for their crimes, helped scores of Indonesian prisoners through language and training programs they set up inside Bali’s Kerobokan prison.